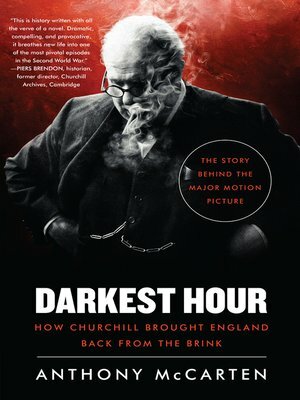 "He was speaking to the nation, the world, and indeed to history..."
In this gripping day-by-day, often hour-by-hour account of how an often uncertain Churchill turned Britain around, the celebrated Bafta-winning writer Anthony McCarten exposes sides of the great man never seen before. He reveals how he practiced and re-wrote his key speeches, from 'Blood, toil, tears and sweat' to 'We shall fight on the beaches'; his consideration of a peace treaty with Nazi Germany, and his underappreciated role in the Dunkirk evacuation; and, above all, how 25 days helped make one man an icon. Using new archive material, McCarten reveals the crucial behind-the-scenes moments that changed the course of history. It's a scarier—and more human—story than has ever been told.